JoAnn has a passion for furthering clients’ objectives, whether that means defeating challenges to a real estate project, defending key aspects of a client’s business or favorably resolving a dispute. Thirty years into her practice, JoAnn still loves seeing clients’ projects and goals come together. She focuses on real estate, commercial and appellate litigation. Although she works on cases nationwide, JoAnn is especially fond of working on cases that advance civic projects in her own community, such as St. Louis’ Loop Trolley project and renovation of the Scottrade Center. Clients often look to JoAnn to handle precedent-setting cases that protect their business plans and goals. For example, she has represented developers and municipal bodies in constitutional and statutory challenges to their development plans, creating seminal law on behalf of her clients. Similarly, she has represented a national mortgage registry company in multiple challenges to key aspects of its business, obtaining favorable decisions that validated the company’s business model. Represented owners of Scottrade Center and St. Louis Blues hockey team in successfully defending constitutional challenge to bond financing deal for improvements to hockey arena, and obtained mandamus order against public official who refused to sign off on financing agreement. Successfully defended City of St. Louis Land Clearance Authority against litigation challenging financing for St. Louis Cardinals' stadium. Defended transportation development district against statutory and constitutional challenges to its billion-dollar trolley project. Obtained summary judgment orders in favor of client in separate state and federal cases, and obtained affirmances of both on appeal. Represented national developer of retail shopping centers in seminal appeal challenging use of eminent domain for development purposes. Missouri Supreme Court reversed decision, ruled in favor of client and authorized condemnation to proceed. Represented City of St. Louis agency in suit challenging use of eminent domain for redevelopment purposes. Successfully defended constitutional challenges in trial court and on appeal to Missouri Supreme Court. Advised City of St. Louis in suit to block city from changing use of key property under redevelopment agreement. Obtained rulings in favor of city in trial court and on appeal. Represented red-light camera company in several cases and successfully defended constitutional challenges to municipal red-light camera programs. Counsel mortgage registry company in numerous cases nationwide, defending company's business model and validity of its mortgage interests. Won several leading cases for company at trial and appellate levels. Represented mortgage registry company in multimillion-dollar qui tam action on behalf of counties seeking damages for alleged misrepresentations in recorded document and alleged avoidance of recording fees. Obtained order dismissing case. Represented owner of large manufacturing facility before administrative agency and appellate court to secure 50 percent reduction in facility's property assessment, entitling client to multimillion-dollar refund. Represented developer in litigation seeking to block demolition of building for mixed-use development project. Obtained declaratory judgment in favor of developer and affirmance on appeal. Defended developer of resort community against challenges to its development under restrictive covenants. Obtained declaratory judgment in favor of client that was upheld on appeal. Defended several employers in retaliatory discharge cases before U.S. Court of Appeals and Missouri Supreme Court. Set leading precedent in area. Advised nationwide mall owner in appeal of multimillion-dollar verdict in premises liability case. Obtained reversal of verdict on appeal. Government: Friend, Foe or Opportunity? 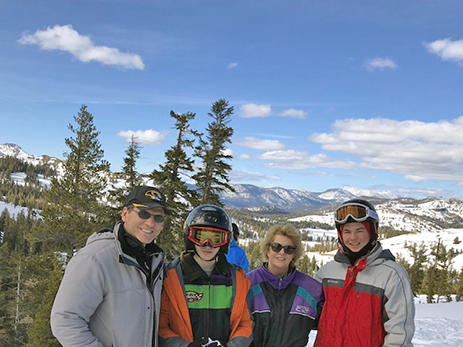 JoAnn enjoys traveling with her family, which includes two teenage sons. They are especially fond of beaches and golf destinations. At home, JoAnn can often be found on a golf course with her oldest or at a bookstore with her youngest. Appellate work is a significant part of JoAnn’s practice, and she has handled more than 75 appeals. JoAnn understands the difference in audience between a jury trial and an appellate court, and she knows how to tailor her arguments accordingly. A court of appeals tends to be concerned with the finer points of law, and her love of legal research and writing makes her an excellent fit for this work. 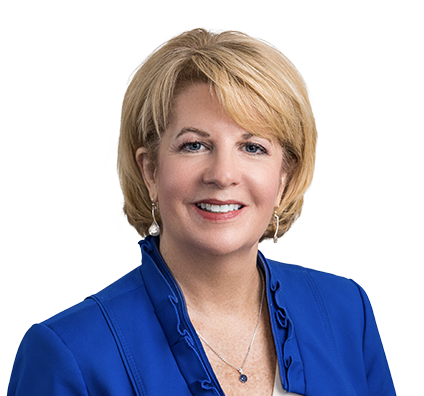 JoAnn’s experience has helped her build a trusted reputation with appellate courts and achieve consistently favorable results – both obtaining reversals of adverse judgments and protecting clients’ previous victories.